The goal of the DART Program is to create a network of eyes that work toward the common goal of defending Wyoming from invasive pests. 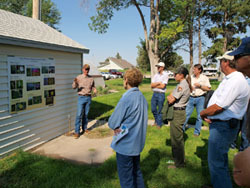 Educating citizens of Wyoming to identify pests (insect, invertebrate, aquatics, and plant diseases) currently in the state, as well as identify new invasive pests. Providing guidance and a mechanism for reporting pest observations. 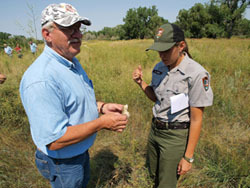 Providing pest observation reports and alerts to land-managers and cooperative agencies, to encourage rapid decision-making and response efforts regarding invasives. Interested in participating in one of our D.A.R.T. trainings? Look for opportunities in your area. For more information contact us at caps@uwyo.edu or call 307-766-5278.